‘Tis the season for gingerbread displays at Disney’s Grand Californian Hotel and Spa at the Disneyland Resort. 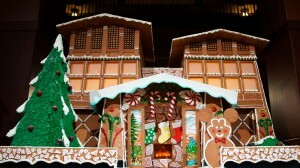 This year’s gingerbread display is the “Grand Gingerbread House” and it stands seven feet tall and is 12 feet wide. The house took 1,400 hours to bake and assemble. 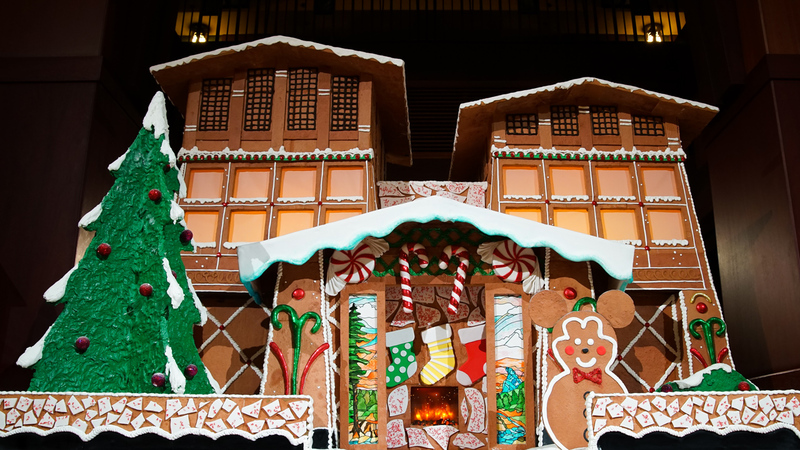 The gingerbread house was made with 600 pounds of gingerbread, 600 pounds of powdered sugar, 12 gallons of egg whites, 3.5 gallons of lemon juice, 150 pounds of fondant, and 1 pound of glitter. It took six craftsmen, two electricians, and 16 bakers and pastry chefs to assemble the house.